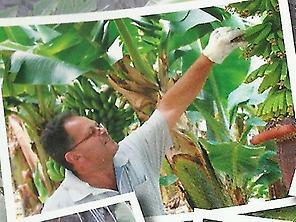 La Palma holds this demanding mountain race over a course of more than 80 kilometres. Transvulcania is composed of 83 kilometres of trek and a total difference in level of 8,500 metres. What's more, practically the whole circuit is on routes that are signposted according to the international standards of the European Ramblers Association. In short, this tough event highlights La Palma's great potential for trekking, with incredibly beautiful routes such as the Volcanoes Route. The race also takes place over marathon (42 kilometres), half-marathon (26.8 kilometres) and vertical kilometre (6 kilometres) distances. 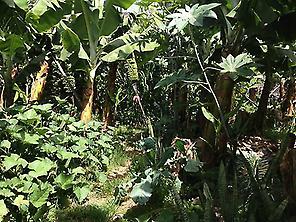 Ecological banana plantation in "El rincon de la Palma"